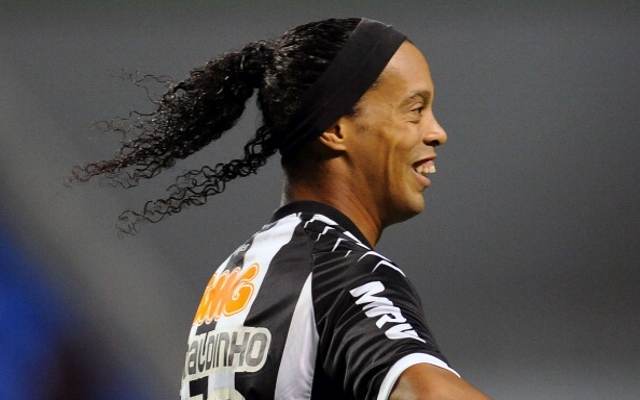 (Image) Ronaldinho Caught Swapping Shirts At Half-Time! After the furore around Mario Balotelli swapping shirts with Real Madrid’s Pepe at half time in a recent Champions League clash, you might have thought top footballers would resist the practice – at least for a while. Not so. Instead, one of the most recognisable footballers in the world has been caught doing the same thing! 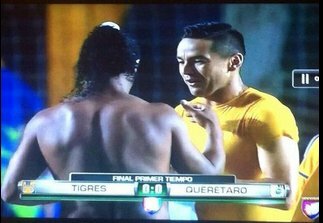 In a recent game between Queretaro and Tigres UANL in Mexico, Ronaldinho was snapped swapping shirts with Tigres’ centre back Juninho as the players left the pitch at the end of the first half. Tigres went on to win the game 1-0 when Juninho himself scored a second half free-kick.